Most automatic transmission rebuilds require torque converter replacement. 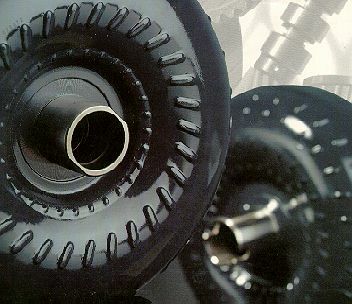 At L & S Service, we use torque converters from Precision of New Hampton, Iowa. We feel that these are the best quality torque converters available. Especially the heavy duty torque converters that Precision offers for hard working diesel and gas trucks. Precision also offers a line of high stall, performance torque converters. Included are street-stall converters that are just a few hundred RPMs above a stock torque converter and reasonably priced. Most of these converters, if not in stock at L & S Service are available in one day after being ordered.